New Delhi,Sep 5 2017 DH News: The Supreme Court on Tuesday ordered CBI probe into the death of deputy superintendent of police M K Ganapathy on July 7, last year. Before his death, the officer had, in Television interviews, accused Bengaluru city development minister K J George and senior officers A M Prasad and Pranab Mohanty of hounding him. 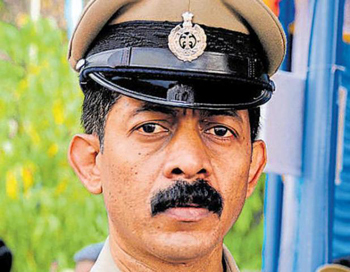 Acting on a plea by Ganapathy’s father M K Kushalappa for CBI probe, a bench of Justices Adarsh Kumar Goel and U U Lalit said in the interest of justice, the matter should be investigated by the CBI. "There are certain startling facts in the case. Whether it is murder or suicide, it is required to be investigated in a fair manner," the bench said. "We are not determining the nature of the offence or who is guilty. But public confidence and societal requirement demand that the guilty persons must be reached," the bench added. The court pointed out on that fateful day, a DySP rank officer openly accused Home Minister and two high rank officers of harassment and also said if due to this disclosure, anything happened to him, only they will be held responsible, in that circumstances, the investigation must be carried out by an independent agency. Senior advocate Kapil Sibal, appearing for Karnataka government, contended that handing over the matter to CBI would have other repercussions. He said the state can produce all relevant materials and satisfy the court about the manner of investigation. Senior advocate A M Singhvi, who appeared for George, submitted that the deceased suffered from depression and had undergone treatments. He denied the charges made by the officers, saying there was no "spatial and temporal proximity" of the allegations made by the deceased with George. Representing Kushalappa, senior advocate Jayant Bhushan submitted that the CID, which probed the matter, filed closure report even without awaiting the forensic report. When the deceased named former Home Minister and two senior officers, the investigation cannot be done by the state agency, he said. During the probe, the Minister had resigned and two officers were also transferred. However, he was inducted again in the Ministry with a different portfolio. A judicial probe by former HC judge Justice Keshavanarayan was also ordered on demand raised by the opposition leaders in Karnataka Assembly. The report from Commission of Inquiry is awaited though it has examined 45 witnesses. Kushalappa and his other son have challenged the Karnataka HC’s order of October 19, declining a plea for the CBI probe. During the hearing, the Minister and two officers and the state government tried to cite "depression" treatment having taken by the deceased to submit that his interview to TV channel before his death should not be relied upon. The court, however, preferred to hand over the probe to the CBI with a direction to submit investigation report within 3 months.